We are so lucky to have some amazing local quilters, designers and makers in our local area. There is always someone to be inspired by, learn new skills from and generally just be kept in awe of their workmanship! 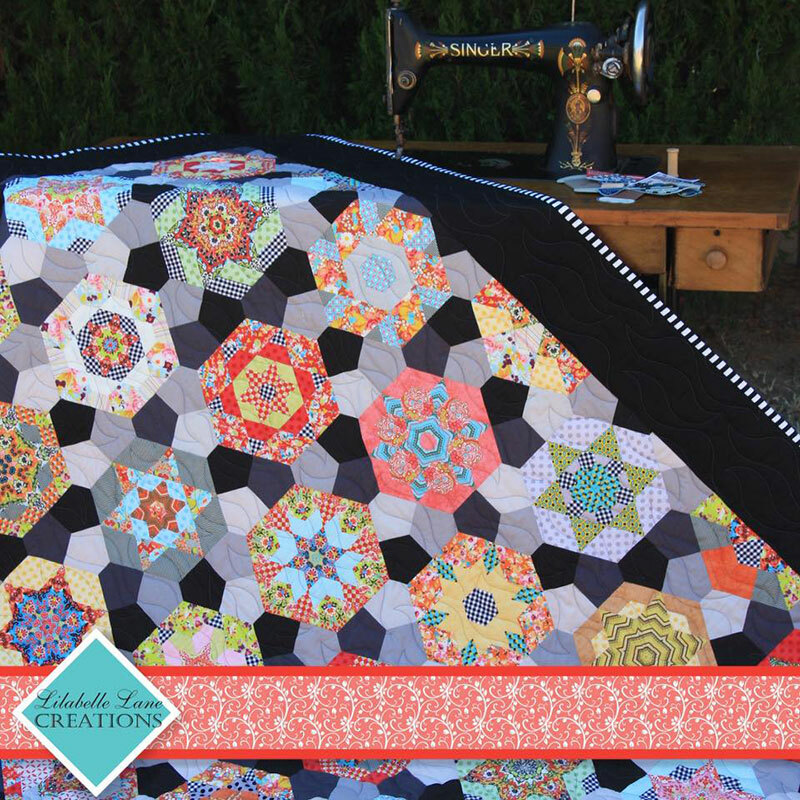 You have probably already met Sharon aka @lilabellelane as she was on 52Quilters last year. She is known and admired for her phenomenal English Paper Piecing (EPP) skills and her fussy cutting has to be seen to be believed! At May’s Quilt Market in Salt Lake City, Sharon released her new pattern called Southern Aurora. It is all English Paper Pieced, designed and pieced by Sharon. It uses a new EPP shape that Sharon created just for this pattern (the shape is called the Lilabelle Polygon). 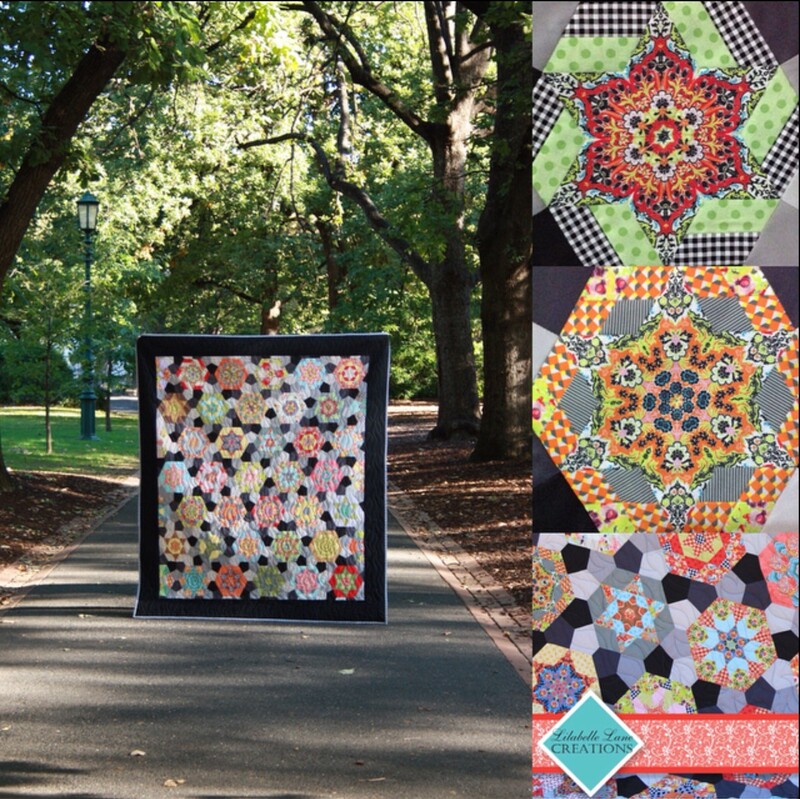 Sharon took this picture at Rosalind Park in Bendigo – just one of the many beautiful options for pictures of ‘quilts in the wild’ in our neighbourhood! Sue Daley has produced papers and templates for the pattern and there are so many great fussy cuts in there! The fabric is called "Bittersweet" (Sue Daley’s next fabric line) which is due in stores In July / August. Sharon shares her skills and knowledge giving classes at The Cotton Factory in Ballarat. If you get a chance to go to one of her classes you will love it!